WASHINGTON — Rev. Al Sharpton said Senate Democrats should block the Supreme Court nomination of Judge Brett Kavanaugh until after the November midterm elections because Republicans refused to consider the nomination of Judge Merrick Garland months before the 2016 presidential election. 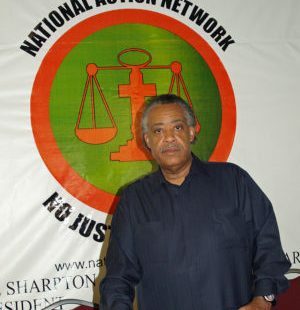 “I think that the Democrats owe it to us to stall and really wait until after the election because this is a precedent that was set by [Senate Majority Leader Mitch] McConnell (R-Ky.) and others in the last election and in the last nominating process with Judge Garland,” Sharpton said during a press call hosted by the Lawyers’ Committee for Civil Rights Under Law on Tuesday morning. Sharpton said he has serious concerns about Kavanaugh’s record on “voting rights and affirmative action and women’s rights and LGBTQ rights and health care and criminal justice reform,” but said that the purported double standard is of pre-eminent concern. President Donald Trump announced Kavanaugh’s nomination at a White House news conference on Monday night. If confirmed Kavanaugh will occupy the seat of outgoing Associate Justice Anthony Kennedy. Kennedy, a Republican appointee, often voted with liberals on issues involving abortion, gay rights and affirmative action. President Barack Obama nominated Garland, who sits on the U.S. Court of Appeals for the D.C. Circuit, to replace deceased Justice Antonin Scalia in March 2016. But McConnell and fellow Senate GOP leaders said they would not consider the nomination due to the upcoming presidential election eight months later. The seat is now occupied by Justice Neil Gorsuch, whom Trump nominated 11 days after taking office. McConnell has said Kavanaugh will receive a vote sometime this fall. Democrats have accused McConnell of employing one standard for Kavanaugh and another for Garland.